Donna J. Turetsky, a Partner in the Trusts and Estates and Elder Law Practice Groups at Certilman Balin Adler & Hyman, LLP, has concentrated her practice since 1992 on trust and estate administration, elder law, estate planning, special needs planning, and guardianships. In the area of estate administration, she assists clients in the preparation of probate and administration petitions, Federal and New York State estate tax returns, and gift tax returns. She also assists the Executors and Administrators in construction and reformation proceedings, discovery proceedings and accounting proceedings. In addition, she has served on a number of appointments as Guardian Ad Litem through the Surrogate’s Court. Ms. Turetsky counsels clients on estate and tax planning and prepares legal documents including Wills, Revocable Trusts, Irrevocable Trusts, Supplemental Needs Trusts, Powers of Attorney, Health Care Proxies, and Living Wills. In her elder law practice, Ms. Turetsky counsels and assists seniors and their families in connection with a broad range of issues, including planning to preserve assets in the face of possible long-term care needs, and Medicaid Planning. Her work in this area includes the preparation of Medicaid applications for both home care and nursing home care. She earned a Bachelor of Business Administration from the University of Miami, a Juris Doctor from Thomas M. Cooley Law School and a Master of Laws in Taxation from the University of Miami School of Law. Ms. Turetsky is a member of the New York State Bar Association, the Nassau County Bar Association and the National Academy of Elder Law Attorneys (NAELA). Ms. Turetsky was named one of the Top 10 Legal Eagles by Long Island Pulse Magazine in 2016, and she also was selected as one of the Top Women in Law for 2016 by the Hofstra University School of Law, Center for Children, Families and the Law. Sandra N. Busell is a Partner in the Trusts and Estates and Elder Law Practice Groups at Certilman Balin. A Certified Public Accountant as well, Ms. Busell brings a strong tax knowledge to all of her estate planning work. An integral part of her practice in the areas of trusts is concentrated on guardianships, Supplemental Needs Trusts, and the protection of Medicaid benefits in regard to the elderly and special needs children and adults. She is often appointed by the Supreme Courts in Nassau, Suffolk, and Queens Counties as a guardian, a Supplemental Needs trustee, as well as a Court Evaluator for persons alleged to be in need of a Guardian. In the areas of estate planning, she advises clients on business succession issues, where her experience also includes counseling clients on various real estate issues that arise relating to elders buying, selling, and transferring property. This includes helping families to obtain reverse mortgages by using irrevocable trusts, which allows the elderly family members to stay in their home and still protect the remaining equity for themselves and their children. Ms. Busell also advises on contested estates between siblings, including representing the non-executor beneficiaries to ensure timely administration and distribution of the estate. Prior to joining our firm, Ms. Busell was a Partner at Davidoff Hutcher & Citron, LLP where she represented clients in a wide variety of matters including elder law, Medicaid, wills, probate, trusts, guardianship tax law, corporate law, and multi-use real estate. A frequent lecturer in her field, she speaks on behalf of the National Business Institute and before religious and educational institutions and charitable organizations. Ms. Busell earned a Juris Doctor from St. John’s University School of Law and a Bachelor of Business Administration from Baruch College of the City University of New York, with a concentration in Accounting. She is admitted to practice in the state of New York and the U.S. District Courts in the Eastern and Southern Districts of New York and the U.S. Tax Court. 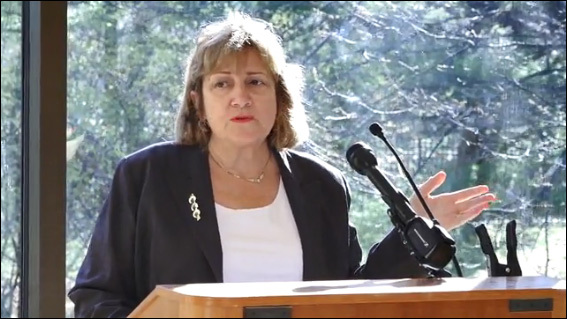 A member of the New York Bar Association, Nassau County Bar Association, Queen’s Women’s Bar Association, National Academy of Elder Care Attorneys (NAELA), New York State Society of Certified Public Accountants, and American Institute of Certified Public Accountants, she also serves on the board of the Long Island Chapter of the American Heart Association. In 2017 and 2016, Ms. Busell was named to the New York Metro Super Lawyers list. In 2018, Ms. Busell was named a Long Island Power Woman in Business by the Long Island Press.